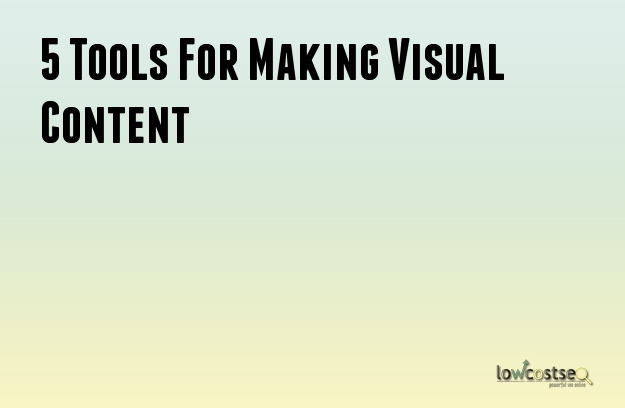 Everyone loves visual content. Why say something in 1,000 words that an infographic can say much more clearly? This is one of the best ways to turn boring, but important, data into something users can relate to and any good SEO company knows this. Of course, great visual content also gets shared a lot – this means lots of organic links, in addition to traffic and brand exposure. So, want to create something a little more visually interesting? Here are 5 tools for doing exactly that! Visual quotes can make for some very powerful images that can be easily shared across the likes of Facebook and Pinterest. Recite is one of the better options out there, as it’s quick, simple and easy to use. So long as you have something memorable to say, recite can help generate interesting graphics. Infographics are one of the best ways to take statistical data, or other figures, and present them in a way that is much more visually appealing. Provided you have something you want to share with your audience, Canva is a fantastic service for creating unique infographics. It’s free for most aspects, but also comes with some additional graphics and items that can be used at a small cost. If you need to express something a little complex, some visual elements can certainly help. Visual instructions can be used for a variety of purposes but, by helping show some of the more complicated steps, they can also make for great walkthroughs or tutorials. Snagit, for example, helps you do this with screenshots, making it ideal for a range of industries. Depending on what it is you want to achieve, such explainer videos can be very useful for your audience. While there are many ways to get free images, such as from stock photography, it never hurts to create your own images. This really helps when trying to give your blog or website a strong identity. By staying consistent across all channels, users can more readily relate to your brand and it creates a visual link between your own website and any external content being published. You don’t need a degree in photoshop to do this, either. Pic Monkey is a great online service that can allow you to do a lot with very little. In some industries or niches, there are often times when you want to express a lot of data while still keeping reader’s interested. Presentations can be great for this, as they can cover lengthy subjects without requiring people to read a 10,000 word white paper on the topic. SlideShare is an easy way to make such presentations, which can then be posted on the likes of LinkedIn and other social media. It also encompasses some audio capabilities, helping to create more engaging presentations. Don’t forget that many of these tools can be used together to create a strong visual identity, all of which links back to your website.